Just when you thought the rustic theme could not become any more popular, it is back for another year. Brides across the country are inventing new ways to incorporate this theme into their wedding. It’s possible to have every detail perfectly designed for your special day. The major concepts of a rustic wedding should be reclaimed wood, branches, whimsical nature-oriented decor, and DIY items. 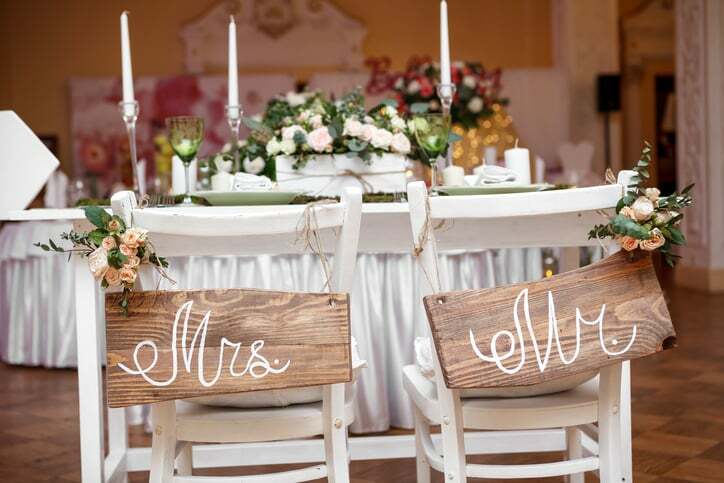 Planning a wedding with a rustic theme is a wonderful way to host a wedding on a budget with a high-end appeal. To really get this theme right, you’ll have to choose the perfect venue. 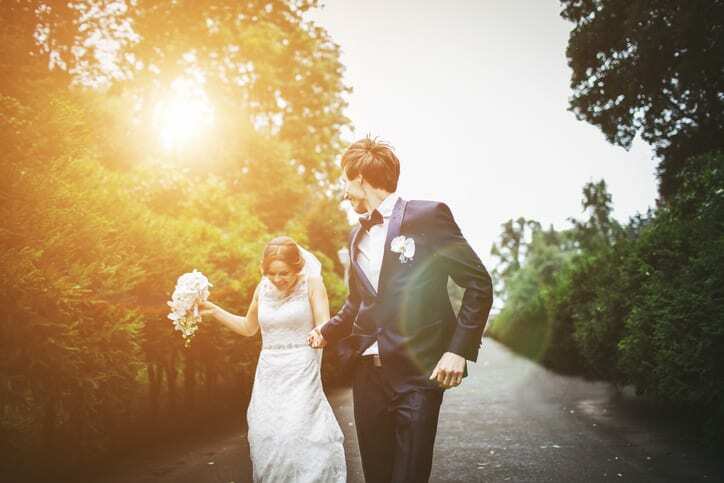 Popular choices are barns, farms, outdoor venues, and cabins. If your wedding is in the winter, you’ll want to choose a lodge or cabin-setting so that your wedding guests stay warm and toasty. By securing the perfect venue, you can reduce the amount of decorating you’ll need to do. Be sure to consider where you’ll be taking your photos, as well. Your venue can be the perfect backdrop for your rustic-themed wedding day. Don’t be fooled: a rustic wedding does not mean a casual wedding. The simplicity of the theme makes it very versatile, which makes it perfect for low-key weddings as well as sophisticated, high-budget events. Romantic-themed weddings can be beautiful for both big and small get-togethers. Additionally, the theme is very versatile when it comes to a venue. The romantic theme really shines through in the over-the-top details. 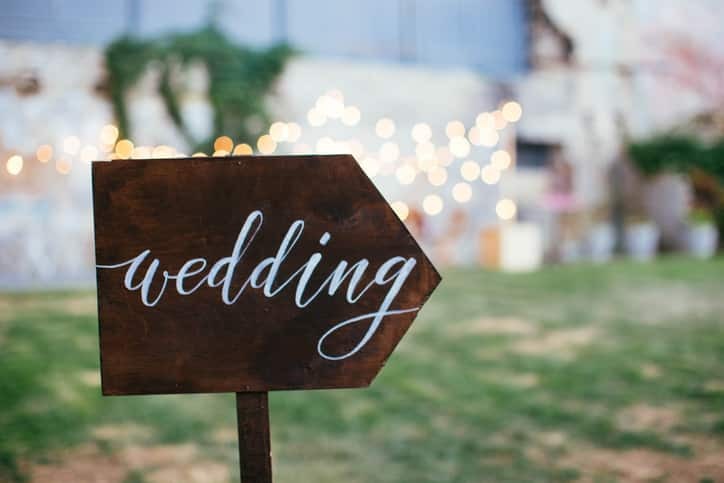 Whether you’re planning your wedding yourself or working with an event planner, putting this theme together can be a ton of fun! Want to take your romantic wedding to the next level? Focus on the reception decor. Over-the-top decorations can add an element of elegance and romance. More specifically, choosing the right flowers and centerpieces can make or break a classic romantic wedding theme. Go big. Flowing, tall bouquets of flowers, clusters of candles, and beautiful glass sculptures will be sure to create a beautiful atmosphere and impress your guests. The flowers we recommend are roses, peonies, and orchids. Are you quirky, creative, and full of wonder? You may be a whimsical bride. This theme allows for a ton of creativity, so take the time to plan every detail! This theme can most easily be described as a combination of rustic & bohemian. With a whimsical wedding theme, you’ll be able to create an enchanting experience for all of your guests on your big day. When planning your wedding, think “quirky garden party”. A botanical garden or outdoor flower garden would be the perfect venue for your whimsical event. 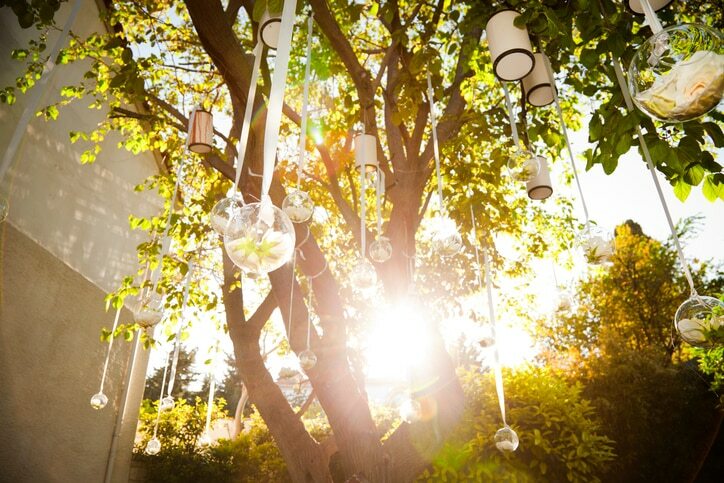 Include DIY details, a plethora of color, balloons, elements of nature, and whatever else you may see fit! The day is yours to celebrate.